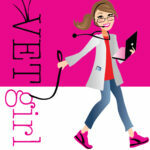 In this VetGirl blog, we demonstrate what metronidazole toxicosis looks like in a dog. Metronidazole, an antibiotic commonly used in veterinary medicine, typically has a wide margin of safety. However, with chronic dosing > 62 mg/kg per day, acute presentation of toxicity can be seen in both dogs and cats. The use of intravenous (IV) diazepam can be used to help diagnose metronidazole toxicosis; transient, acute improvement of clinical signs can be seen immediately after diazepam administration. Treatment for metronidazole toxicosis includes immediate discontinuation of the drug, symptomatic and supportive care, and diazepam therapy. In dogs, the use of oral diazepam (at approximately 0.43 mg/kg orally every 8 hours for three days) can be used for therapy. However, the use of oral diazepam should not be used in cats due to the rare risk of idiosyncratic acute hepatic necrosis secondary to diazepam. Oh no – we are so sorry to hear this. It’s really rare to see side effects from this antibiotic, as it’s very commonly used in both human and veterinary medicine. I’d recommend consulting a medical doctor. My dog developed permanent vestibular disease following multiple administrations of flagyl over several months. The second time the vet claimed it was a coincidence. It is not idiopathic “old dog” disease – just happens? I doubt it. The use of this drug – given out like candy by vets — should be stopped. Far worse is the lack of any disclosure of side effects. Saying the effect is “rare” is (1) based on questionable historical records (who tracks this) and (2) a minimal “study” of a high dose in a small population. Those limited, small population studies are worthless. The drug has warnings for human use. It should not be used for GI upset!!! Bills to require vets to provide warnings have been lobbied against by the veterinary profession., so too proposals to allow owners to obtain drugs from pharmacies (which disclose side effects). Part of the issue is that pet owners ASK for the medication. It should only be used for diarrhea and anaerobic infections. I’m sorry to hear about you dog – but the toxicity seen from metronidazole is typically only seen with high dose (> 60 mg/kg) which is rarely used for long term. My 9 week old puppy had taken three doses of 250mg. After the first dose he was too weak to stand. It’s been 4 days since he had his last dose and he is only now taking steps. He can walk about 10 feet before he is totally spent and needs rest. How long should I expect these effects to last? And thank you for the post, it was reassuring. That doesn’t sound consistent with metronidazole – I’d get to your veterinarian ASAP as this is not typical and may be a life-threateningly low blood sugar! Steve, I’m with you. This antibiotic is causeing far more harm than many professionals are willing to admit. Clearly Metronidazole harmed your dog, how do I know? I interviewed the FDA/CDER team that reviewed the safety profile at the time and they revealed numerous medical events snd toxicities that were left out of the DataSheet. Antibiotics are toxins, and can have a severe effect on various cell structures. How’s your dog doing now? ^^This is ridiculous – discontinue the use of metronidazole???? It’s true that it’s been given out too frequently by some vets (this has been changing recently), but it’s also true that when many owners bring their dogs in for ONE DAY of diarrhea, they get upset when you don’t send them home with “magic pills” to fix their animals. In response to “who keeps track of these things,” vets are actually supposed to report any side effects or adverse effects that happen while taking a medication – regardless of whether or not they are actually caused by the medication. It’s very sad that some animals and people have reactions to some drugs/things, but honestly….if we decided to be crazy and ban every single thing someone had a reaction to….it would be ridiculous. There would be no antibiotics, pain medications, no peanut butter, gluten, nuts, shellfish, crabs, strawberries….the list goes on.